Sorry to leave you hanging with promises of Peru pictures. I meant to make good on those promises, but then a few days after our return, just as I was feeling back to normal, we got a call in the middle of the night. The kind of call that lets you know the old normal is no more. The new normal is that my father-in-law, Jed Pritchett, is gone. 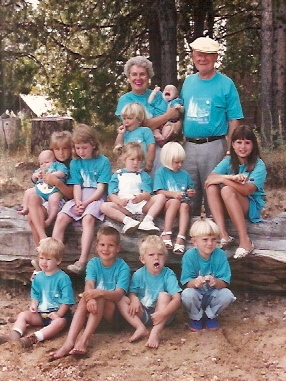 After a decade of mentally slipping away, his body caught up with his ebbing mind and he passed away suddenly, leaving behind his devoted wife Jackie, four living children, fourteen grandchildren, three great-grandchildren and five children-in-law, including me. What followed was the usual flurry after a loved one dies. Funeral arrangements were made, plane tickets purchased, mourning wear packed. 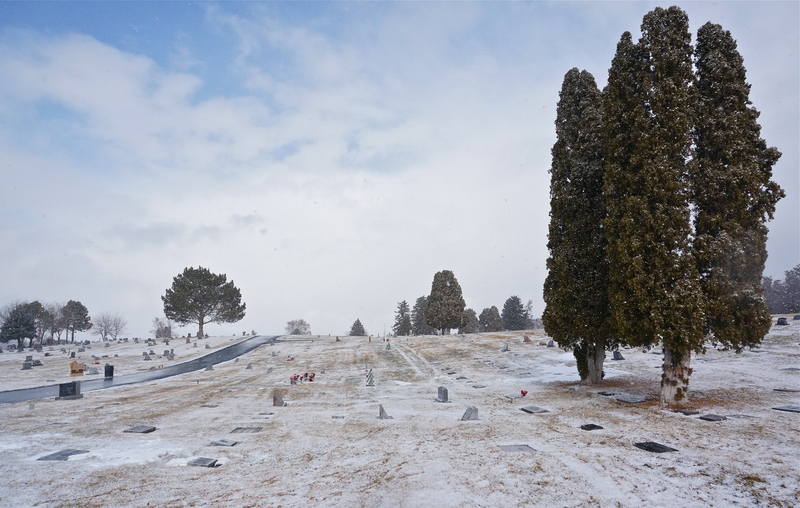 Then the gathering commenced—first in Boise, Idaho where Jed and Jackie lived for forty-some years, then on to American Fork, Utah where Jed had been raised and where he would be buried alongside his parents and two children who preceded him in death. 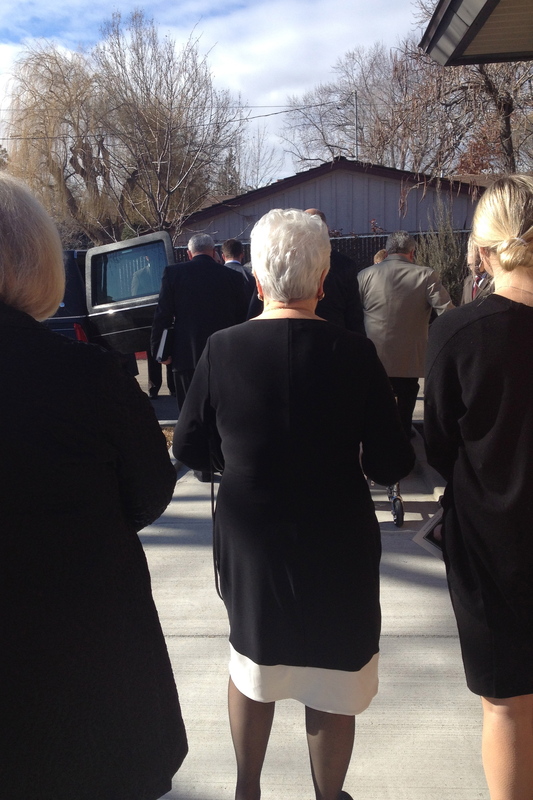 The services were tearful, rollicking affairs where Jed’s smart, funny children and grandchildren delivered stories of his life with an equal amount of respect and roast. Had I spoken, I would have talked about all the ways he made my life better, including the fix-it projects he did whenever he came to visit. As it was, I felt blessed to perform one of his favorite songs “Let the Lower Lights Be Burning” with my son and two other in-laws at the Boise service. 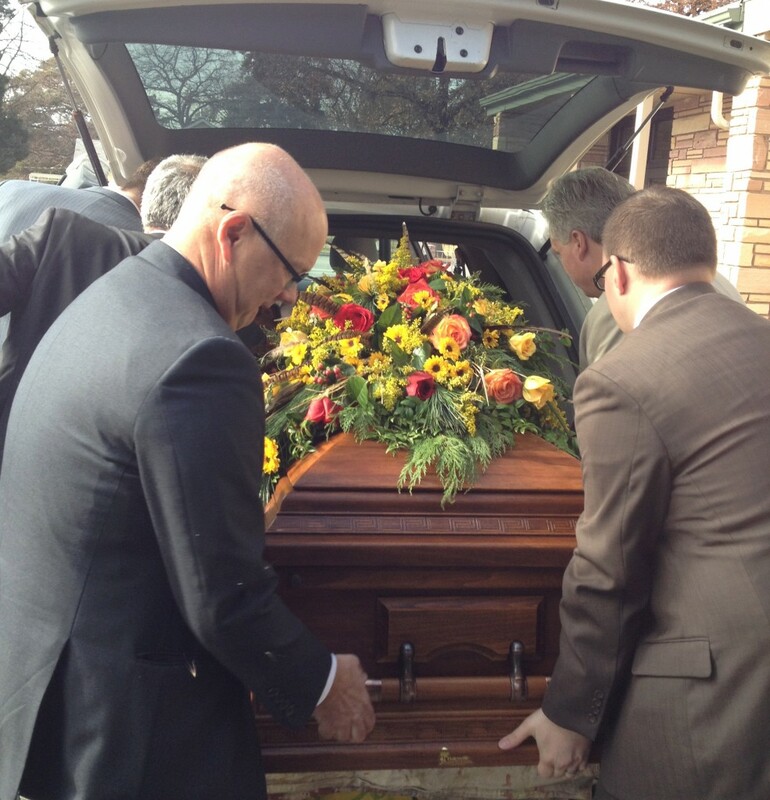 After the first service the pallbearers loaded the casket into M.J.’s brother Lant’s white mini-van to drive the six hours to Utah, making sure not to dislodge the beautiful casket spray filled with feathers from pheasants Jed had hunted over the years. Jackie had balked at a lonely last ride for Jed by way of an anonymous hearse driver. And so, when the mortician said it wouldn’t be a problem to deliver the body without his assistance, Lant volunteered to drive Jed home. Jackie would ride shotgun and they’d do their best to get one last speeding ticket as a proper send-off for the fearless (and lead-footed) patriarch of the Pritchett clan. 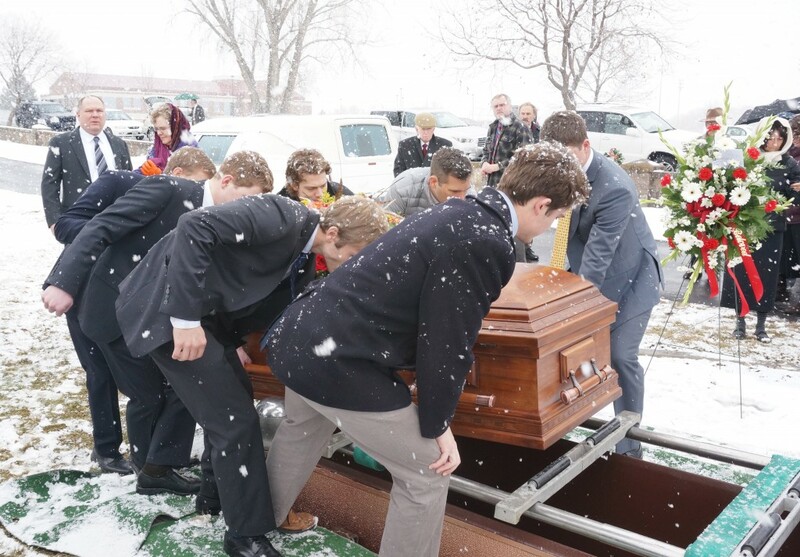 Alas, no such ticket was issued, but the speedy delivery ensured a second service the next day where Jed was feted with further offerings of song and story before being laid to rest in the American Fork cemetery. 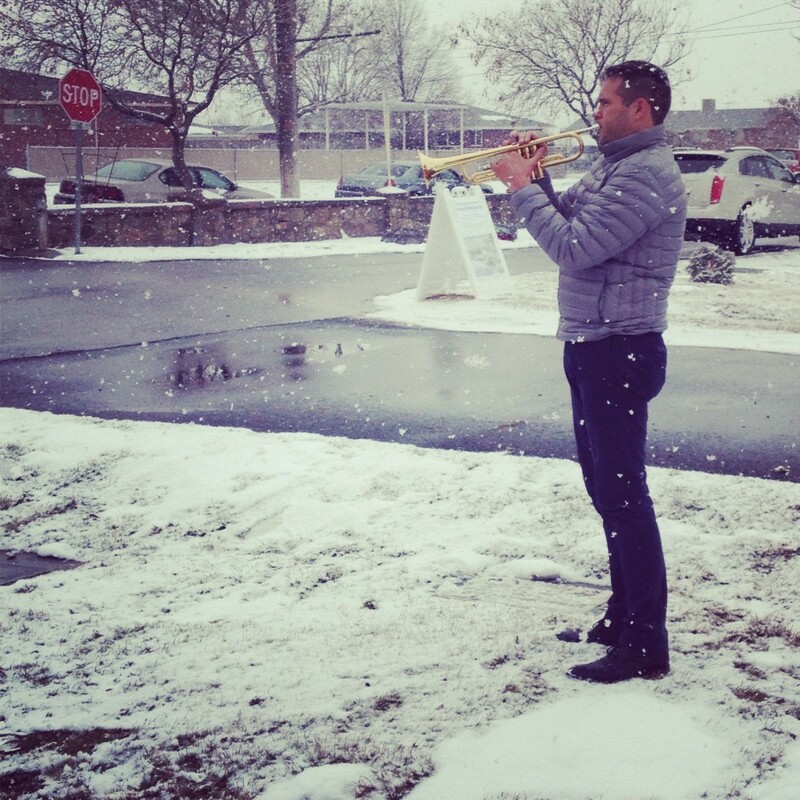 Cinematic snowflakes fell as his grandson Tony played “Stardust,” another favorite tune, on the trumpet. Jed’s generation is gone or going. 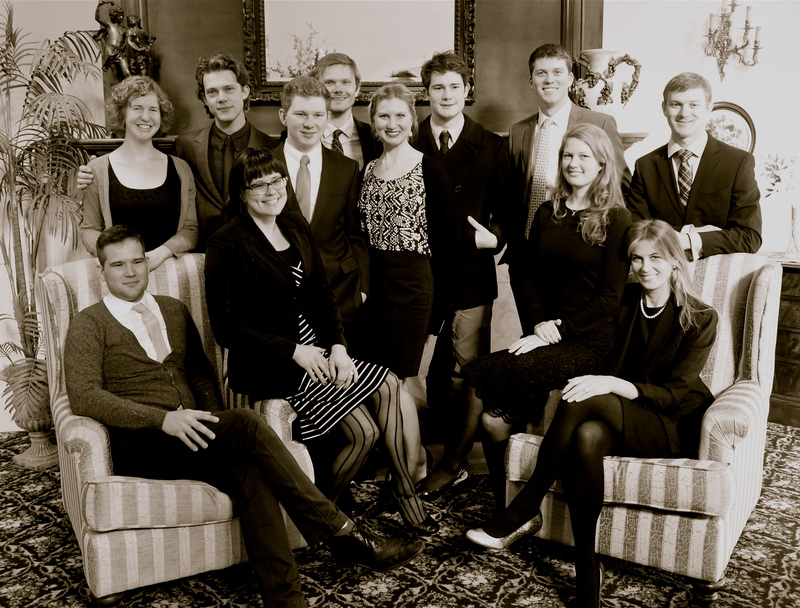 Our generation is sobered by a clearer view of the finishing line. And those little grandkids that used to spill out of Grandma Jackie’s dress-up closet or water-ski behind Grandpa Jed’s speedboat? Well, they’ve turned into a handsome bunch of young adults, tackling the world with the same intensity and intelligence as their grandfather. Hard to take your eyes off them, really. Where did the time go? So I’ll get back to telling you about Peru and upcoming design events shortly. But for a bit, I’ve been watching time march—no, rush—onward as we said good-bye to a beloved husband, father and grandfather. Godspeed, Jed. You will be missed. This entry was posted in Spirit and tagged family, flowers, Funerals, Time. Bookmark the permalink. Post a comment or leave a trackback: Trackback URL. And this is a beautiful tribute, in words and pictures. Much to think about. Thanks, Kathryn. This is lovely. I love how you write and what you write about. It always strikes a chord in me. Thank you, Kathryn. What a beautiful tribute. Thanks Kathryn! 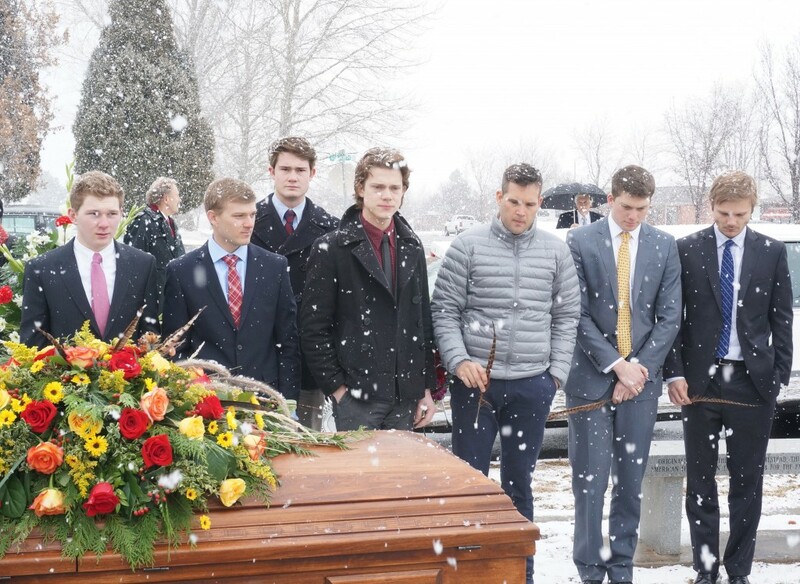 What a wonderful tribute and a beautiful family. I miss you all so much. Kathryn, I am so sorry to hear of the passing of your father-in-law. This was a beautiful tribute to him. Thanks for the lovely comments, everyone. We appreciate your support in this time of loss.